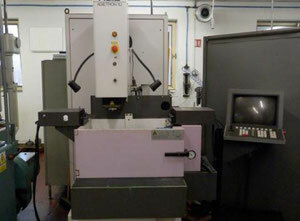 On Exapro you can find numerous offers for used sinker edm machines for sale. 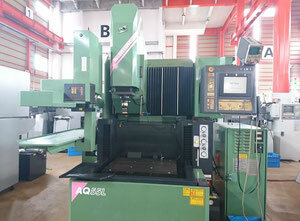 These machines belong to the category of Metalworking machines - machine tools. 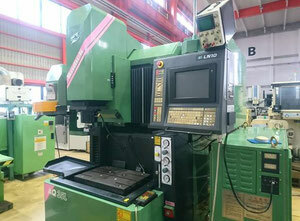 EDM die sinking machine - EDM refers to as electrical discharge machining. Die sinking represents a manufacturing method when a shape of material is formed with the aid of sparks or electrical discharges. It is a process employed to modify steel and create a shape, opening or cavity in a piece of steel. Such opening in steel can be further used to shape plastic to create plastic molds as well as for forging, coining or die-casting. 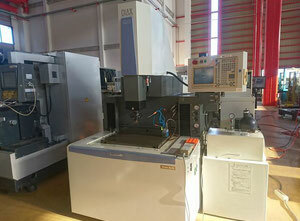 What kind of mechanism is involved in EDM die sinking machine? Within a die sinker, two electrodes generate a series of fast sparks causing to remove surplus material from the metal workpiece. These two electrodes are kept apart with a dielectric fluid which is under the influence of electricity. When the electrodes join together, the intensity of electrical field between them increases. This overwhelms the dielectric fluid at designated points. Subsequent to this process, electrical circuit between two electrodes is complete. The solid particles are then suspended within dielectric fluid and further flushed away. 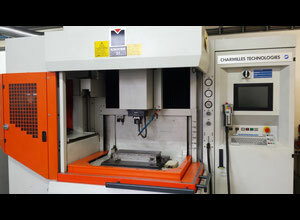 The process for die sinking begins with obtaining a piece of sheet metal and is something that anyone can perform using simple tools. 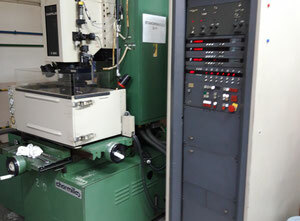 However, EDM die sinking machines represent a secure and professional way to execute die sinking. 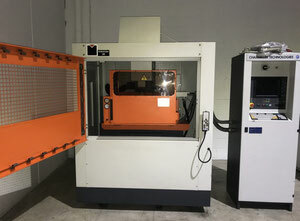 As we have just learned, die sinking EDM machines, also called cavity type EDM or volume EDM machines, consist of two electrodes and a workpiece submerged in an insulating liquid. Oil is typically used as an insulating liquid, however, it could be any other dielectric fluid. 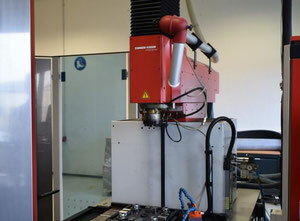 The electrode and workpiece are connected to a suitable power supply. The power supply generates an electrical potential between the two parts. As the electrode approaches the workpiece, dielectric breakdown occurs in the fluid, forming a plasma channel, and a small spark jumps. These sparks usually strike one at a time, because it is very unlikely that different locations in the inter-electrode space have the identical local electrical characteristics which would enable a spark to occur simultaneously in all such locations. These sparks happen in huge numbers at seemingly random locations between the electrode and the workpiece. As the base metal is eroded, and the spark gap subsequently increased, the electrode is lowered automatically by the machine so that the process can continue uninterrupted. Several hundred thousand sparks occur per second, with the actual duty cycle carefully controlled by the setup parameters. These controlling cycles are sometimes known as "on time" and "off time", which are more formally defined in the literature. The on time setting determines the length or duration of the spark. Hence, a longer on time produces a deeper cavity for that spark and all subsequent sparks for that cycle, creating a rougher finish on the workpiece. The reverse is true for a shorter on time. Off time is the period of time between sparks. A longer off time, for example, allows the flushing of dielectric fluid through a nozzle to clean out the eroded debris, thereby avoiding a short circuit. These settings can be maintained in microseconds. The typical part geometry is a complex 3D shape, often with small or odd shaped angles. 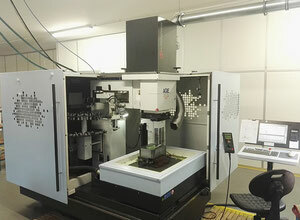 Vertical, orbital, vectorial, directional, helical, conical, rotational, spin and indexing machining cycles are also used. 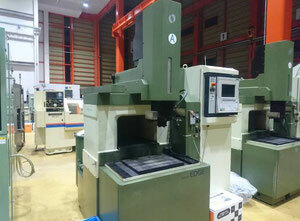 EDM die sinking machine can be used in a wide manufacturing range, for instance to produce machining jets or vehicle spare parts. Die sinking method can be performed on materials that easily conduct electricity, since the shaping is performed with an electrical discharge. 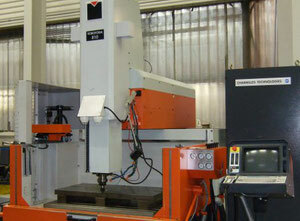 Sinker EDM machines find use with extremely tough materials and are also employed in complex functions. 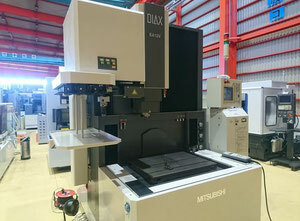 Furthermore, die sinking machines can be used to engrave names, numbers, symbols onto metal surfaces. 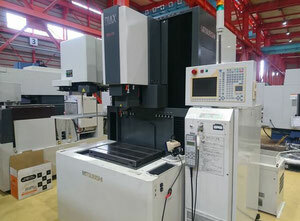 Sinker EDM machines are most commonly operated to shape 3D objects. 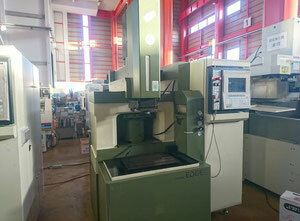 To find used EDM machines die sinking for sale is relatively easy when you browse Exapro. Using the manufacturer filter, you get only the most relevant results and machines by the best manufacturers. Don't miss die sinking machines by the world's most famous metalworking machines manufacturers Agie Charmilles (Agie, Charmilles) and Maho.